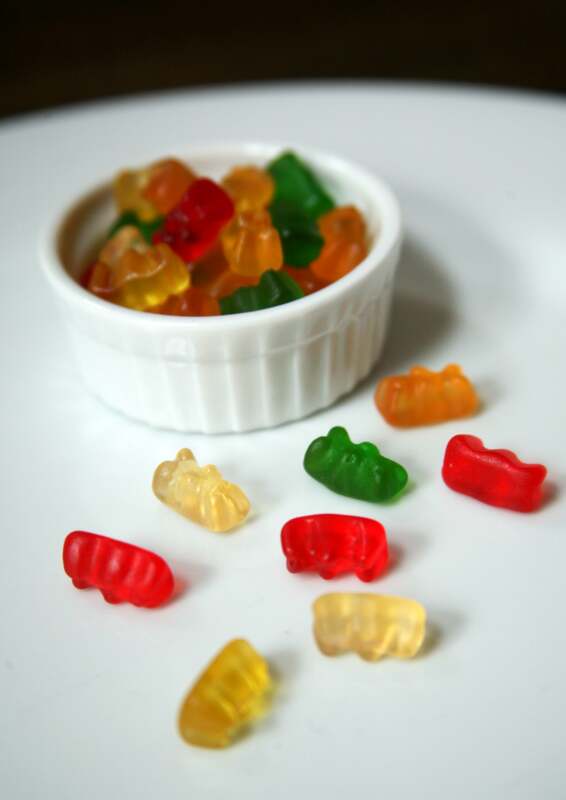 If you look at the ingredients on a package of gummy bears - even organic ones - you'll see expected things like corn or brown rice syrup and sugar. But you'll also see something called gelatin. Seems innocent enough, but its source might surprise you. Gelatin is a yellowish, odorless, and nearly tasteless substance that is made by prolonged boiling of skin, cartilage, and bones from animals. It's made primarily from the stuff meat industries have left over - we're talking about pork skins, horns, and cattle bones. Ugh. I guess if you're into the philosophy of using the whole animal, you'll be psyched about this. Plus gelatin contains 18 amino acids, so it does offer some nutritional benefits. But if you're vegan, you'll definitely want to skip the chewy candies and your great-aunt's Jell-O mold - it's made with gelatin, too. This animal-derived ingredient can also be found in some vitamins and medications, marshmallows (not Trader Joe's - they're vegan! ), cheeses, yogurts, soups, salad dressings, jams and jellies, fruit snacks, and canned hams. If this tidbit of info grosses you out, you'll want to pay closer attention to these products' food labels. 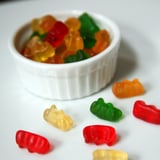 If you look at the ingredients on a package of gummy bears – even organic ones – you’ll see expected things like corn or brown rice syrup and sugar. But you’ll also see something called gelatin. Seems innocent enough, but its source might surprise you. Gelatin is a yellowish, odorless, and nearly tasteless substance that is made by prolonged boiling of skin, cartilage, and bones from animals. It’s made primarily from the stuff meat industries have left over – we’re talking about pork skins, horns, and cattle bones. Ugh. I guess if you’re into the philosophy of using the whole animal, you’ll be psyched about this. Plus gelatin contains 18 amino acids, so it does offer some nutritional benefits. But if you’re vegan, you’ll definitely want to skip the chewy candies and your great-aunt’s Jell-O mold – it’s made with gelatin, too. This animal-derived ingredient can also be found in some vitamins and medications, marshmallows (not Trader Joe’s – they’re vegan! ), cheeses, yogurts, soups, salad dressings, jams and jellies, fruit snacks, and canned hams. If this tidbit of info grosses you out, you’ll want to pay closer attention to these products’ food labels.